Depression is the most prevalent psychiatric illness within our society: epidemiological studies show it holds the highest societal affliction amongst psychiatric disorders (Broadhead, Blazer, George & Tse, 1990). Depression is an emotional state that surpasses any impartial explanations. Despite our difficulties describing and classifying its symptomology clearly, all humans experience some level of sadness and despair. Depression in its mild and temporary form is part of human existence (Maddux & Winstead, 2015). According to the DSM-5, major depression is characterised by an extreme exaggeration of mood and negative thinking, affecting behaviour and simple daily activities (Meyer & Quenzer, 2013). This essay considers the limitations of the biomedical model of depression, including views on brain disease, chemical imbalances, psychotropic treatment and societal burden. An existential perspective on depression is explored as an alternative method aiding the recovery journey of the depressed. Can depression be defined objectively using scientific criteria, or is it a social construction (Gergen, 1985) defined by our societal and cultural values? The biomedical model would suggest that depression is a concrete, biologically-driven disease, excluding the plausibility of it being an existential experience within an era of melancholy. With the use of the term ‘mental illness’, there is an implication that depression is caused by a physical malfunction, chemical imbalance and/or a brain structure defect (Tyrer & Steinberg, 2006). There has been an ongoing debate regarding the definitions of psychopathologies such as depression (Horwitz, 2002). The attitude towards treatment for emotional disorders such as depression can be equivalent to that of medical diseases such as diabetes (Manley, 2000). The biomedical model assumes that depression originates from a physiological abnormality within the brain and there is no significant dissimilarity between mental and physical diseases (Andreasen, 1985). Societal views of depression are heavily influenced by the advanced biological aetiology of this phenomenon, alongside the influence of the pharmaceutical industry through the continual development of medications (Healy, 1997). There is a risk that the biomedical model can be reductionist, promoting the belief that every psychological phenomenon can be explained by biology (Lilienfeld, 2007). The biomedical model largely assumes that neurotransmitter imbalances cause mental disorders. The 1950s saw a rise in the development of psychopharmacological treatments for depression and other mental illnesses. This led to theories about chemical imbalances providing an explanation for symptoms (Schildkraut, 1965). These theories of causation are regularly promoted, rather uncritically, by the media (Leo & Lacasse, 2008) and so there is a failure to provide unbiased information to the public regarding mental illnesses and chemical imbalances. There has been extensive research attempting to show a relationship between depression and a low level of serotonin (Dantzer, O’Connor, Lawson & Kelley, 2011). In this case, we might question whether low serotonin levels are the effect of depression, rather than the cause of it. Some psychiatrists have criticised the chemical imbalance theory of depression (Spiegel, 2012), declaring that it lacks scientific validity. However, it remains widespread due to its cultural uses, namely in psychopharmacology. Some literature uses a biased and semantic method to describe psychiatric medication in support of the biomedical model, and numerous clinical trials have been funded by the pharmaceutical industry (Moncrieff, 2008). Furthermore, advertisements have been at fault for providing information that does not correlate with research, promoting the use of psychotropic medication as a treatment for depressive symptoms (Lacasse & Leo, 2005). In one study, clients who presented with depressive symptoms were 50 per cent more likely to be offered their requested brand of antidepressant, regardless of whether their symptoms were in line with a major depressive diagnosis, in comparison to patients with a diagnosis of adjustment disorder (Kravitz et al. 2005). Given the dominant nature of the biomedical model in the West, it comes asno surprise that the majority of people regard depression and similar mental illnesses as neurobiological diseases that require medical intervention (Pescosolido et al., 2010). Research has found antidepressants to be the third most common class of prescribed drugs within the United States (Pratt, Brody, & Gu, 2011). This suggests an increasing number of people being diagnosed with depression. 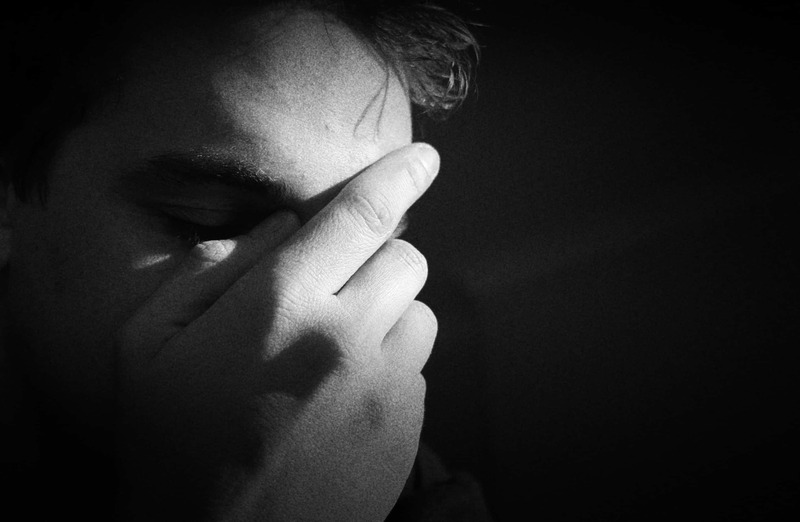 More people appear to be experiencing mental health problems of increasing severity. However, the effectiveness of antidepressants is lower than ever, and this does not suit the pharmaceutical industry (Simon, 2002). Depression was previously seen to be transient (Morris & Beck, 1974), whereas now it has become more present and the diagnosed population is on the rise (El-Mallakh, Gao & Roberts, 2011). Anti-depressive drugs aim to conceal the very symptoms that personify depression. By hiding these uncomfortable and distressing symptoms, how can we truly hope for client recovery? Existential psychotherapy offers an alternative treatment, which seeks to understand the core elements beneath the symptoms the client is experiencing. An existential dialogue may aid client recovery when important emotions are not suppressed by medication. The biomedical model holds strength due to its increasing research progression. One cannot deny the impressive advances made by neuroscience in the past decade and the significant reduction of non-psychiatric disability rates (Whitaker, 2010). However, no psychological experience can be explained by neurobiology alone (Gold, 2009). Though the DSM-5 outlines thorough criteria for what constitutes depression, the symptomatic boundaries remain ambiguous (Blazer, 2012). Though clinicians are extensively trained, each client may present symptoms slightly differently to others, and there is an element of subjectivity in the interpretation of symptoms. It has not been clarified whether these proposed core symptoms are universal across cultures and societies (Kleinman & Good, 1985). Furthermore, the DSM-5 does not include the use of any biological testing (Frances, 2009), bearing the question of why we view mental illnesses as a biologically-based pathology. It is possible that the biomedical model is too doctrinaire for our malleable species. Modern Western society has reached a paradox. We have more knowledge available to us and therefore more control over our decisions. At the same time, our society is becoming more complex and demanding of us, and leaving us with less control than ever before (Schor, 2008). Explanations such as brain differences, chemical imbalances and genetics are all argued for, whilst the possible social origins of depression are being blind-sided. This reflects the highly individualistic society we live in, a place that has become controlled by medical interventions and acceptance that everything has a biological core (Blazer, 2012). It may be useful to consider biological contributing factors, whilst keeping in mind that they do not provide us with a complete picture of the patient’s experience. The expression of depression can conceivably be considered as an interface between the person experiencing it and his or her society. The manner in which we express our emotional suffering is a reflection of how we interact with society, as well as how society interprets our visible pain. Hence, we find that depression is responded to in innumerable ways across cultures. The dominance of the biomedical model in the West is related to our existing sociocultural norms. By accepting a biological causality, we have legitimised depression as a disease; a concept known as reification (Blazer, 2012). Reification stunts the possibility that depression and our human relationship with sadness can be payable to an emotionally-damaged society. We could strive to change our societal norms to address the apparent increase in emotional despair and suffering. However, instead, we have created social categories and blamed depression on our organic structure, only to re-validate these categories as naturally occurring (Taussig, 2010). Here, social categories refers to the “manifestation of that probably universal tendency whereby any culture externalizes its social categories onto nature, and then turns to nature in order to validate its social norms as natural” (p. 33, Taussig, 2010). Perhaps, as a society, we have become detached from the experience of meaningfulness, and instead we recurrently seek out causal explanations for our despair and sadness. Western culture has suffered a shock to its foundations over the last century. For many people, society seems to have become increasingly complex and threatening, and people no longer hold the same trust in authority structures such as religion, medicine and politics as they used to (Blazer, 2012). Is it at all surprising that our level of despair has increased? Though it can be argued that our previous trust in such authorities was misplaced, such systems still provided a sense of stability and order. As more people have grown to distrust these institutions, it appears that more people have also started presenting with symptoms of depression. From an existential perspective, humankind is inseparable from society (Tuttle, 1996), which includes our family, community, and also surrounding belief systems. Regardless of the authenticity of religions, it cannot be denied that they have provided masses of people with a sense of purpose and meaning. Existentialists might suggest that how you find such meaning and purpose is less important than having a sense of meaning, which, they might argue, is vital to our psychological health and existence (Van Deurzen, 2009). We should consider the possibility that depression is a natural reaction to our exposure to society’s façade. Though psychotherapy is offered to depressed clients alongside medical interventions, it is usually psychoanalytic or cognitive-behavioural therapy. If we begin to view depression as a natural expression of human distress, then it is possible that through the process of finding existential meaning, clients could begin to recover. Meaningfulness is at the core of existentialism. Existential psychotherapy aims to provide the client with context for their experiences that is free from assumptions (van Deurzen, 2009). A relationship based on acceptance of the client’s experiences and feelings is vital (Spinelli, 2007). According to this philosophy, ‘existential issues’ are believed to affect a person’s psychological suffering. Such suffering should not be ‘cured’, but an exploration and clarification should take place, aiding the client’s journey towards finding existential meaning. This approach can influence the process of recovery in depressed clients. Meaninglessness has been considered a symptom of depression by existentialists (Yalom, 1980). The symptoms of depression are a manifestation of a dissatisfied “will to meaning” (Frankl, 1985). According to Frankl (1985), “will to meaning” is the principle power that motivates a person to live whilst creating or finding meaning. According to Frankl, the behavioural patterns associated with depression are a direct reflection of a crisis of meaninglessness that the person is encountering. Such a crisis may lead to clashes with conformity and submission, adding to the individual’s distress and despair. Kierkegaard proposed that the acceptance of human struggle and distress is a necessary means for our existence (Van Deurzen, 2009). According to Kierkegaard, the self is a set of relations between the person and the world around him. Thus, the self is not merely the body and mind, but rather all that interacts and is associated with this body/mind, both externally and internally. According to this view, it might be no surprise that there is a rise in depression in our demanding society. The acceptance of human struggle lies at the core of our human existence; Kierkegaard (1849) believed that only by facing our difficulties can we rise above them. With regards to depression, modern day medicine aims to eliminate the symptoms associated with this distressing and serious diagnosis. What would it be like if recovery was steered towards learning to face our difficulties, talk about them, understand them, and learn to live with them? Kierkegaard (1849) believed that humans are a combination of opposites, the infinite and finite, which in unison create the seamless self. The infinite represents life’s possibilities and our ability to envision new thoughts and ideas. The finite encapsulates the requirements of daily life and relates to our current experiences and needs. It is human compulsion to focus on either the finite or the infinite and, by doing so, to abandon the responsibility of being a self, where both polarities are needed. According to this philosophy, individuals who become depressed frequently lose themselves in the finite, a realm where limited alternatives exist (Van Deurzen, 2009). Such individuals avoid being themselves, opting to camouflage into social networks in hope of finding safety. The opposite pole can also lead to depression, because living in the infinite may mean the person is avoiding making commitments and choices. They are likely to experiment in different areas of their life, and become obsessed with who they could potentially become, rather than focusing on making solid progress. Kierkegaard (1849) argued that we must find a balance between the two opposing dimensions in order to live an appropriate version of our self. The current paradigm of psychiatry favours the approach of the biomedical model, which involves determining the biological cause of illness and then following specific diagnosis and treatment protocols (Blazer, 2012). The biomedical model has suggested that depression is caused by neurotransmitter dysregulation, though research has not identified a reliable cause as yet. Though the chemical imbalance theory for depression remains dominant in Western culture (France, Lysaker & Robinson, 2007), recently its validity has been increasingly scrutinised (Begley, 2010). I believe we must question how we are allowing depression to be labelled as an illness in this way, and why we are attempting to eradicate its symptoms in the same way as physiological illnesses. The West has created a culture that welcomes mental health diagnoses that follow a dogmatic treatment model of drugs and therapy. I believe our healthcare system should change the way it views depression, taking into account that sadness and despair can be a normal human response to crisis and loss, and acknowledging that the world we live in is full of stress and uncertainty. Depression can have devastating effects on people’s lives, but by calling depression an illness, are we making it socially acceptable to medicate common human emotions? In some cases, the use of medication can be beneficial, but in others it can have adverse effects, with clients becoming dependent on such interventions for years, as well as experiencing undesirable side effects. Credit for the biomedical model should be given, but if we accept its limitations too, we may open up more possibilities to aid the recovery of people experiencing depression and other mental health problems. Arwa Hussein is a trainee existential counsellor, who is currently in the second year of her doctoral studies at the NSPC. She has a great interest in the rising prevalence of depression across all cultural communities and hopes to write her thesis around this topic. Andreasen, N.C. (1985). The broken brain (Vol. 1272). New York: Harper Collins. Begley, S. (2010). ‘The depressing news about antidepressants’, Newsweek Magazine, 34-42. Blazer, D.G. (2012). The age of melancholy: “Major depression” and its social origin. New York: Routledge. Broadhead, W.E., Blazer, D.G., George, L.K., & Tse, C.K. (1990). ‘Depression, disability days, and days lost from work in a prospective epidemiologic survey’, Jama, 264(19), 2524-2528. Dantzer, R., O’Connor, J.C., Lawson, M.A., & Kelley, K.W. (2011). ‘Inflammation associated depression: from serotonin to kynurenine’, Psychoneuroendocrinology, 36(3), 426-436. Deacon, B.J. (2013). ‘The biomedical model of mental disorder: A critical analysis of its validity, utility, and effects on psychotherapy research’, Clinical Psychology Review, 33(7), 846-861. El-Mallakh, R.S., Gao, Y., & Roberts, R.J. (2011). ‘Tardive dysphoria: the role of long-term antidepressant use in-inducing chronic depression’, Medical Hypotheses, 76(6), 769-773. France, C.M., Lysaker, P.H., & Robinson, R.P. (2007). ‘The” chemical imbalance” explanation for depression: Origins, lay endorsement, and clinical implications’, Professional Psychology: Research and Practice, 38(4), 411. Frances, A. (2009). Issues for DSM-V: The limitations of field trials: A lesson from DSM-IV. American Journal of Psychiatry, 166(12), p. 1322. Frankl, V.E. (1985). Man’s search for meaning. New York: Simon and Schuster. Gergen, K.J. (1985). ‘Social constructionist inquiry: Context and implications’ in The social construction of the person (pp.3-18). New York: Springer. Horwitz, A.V. (2002). Creating mental illness. London: University of Chicago Press. Kierkegaard, S. (1849). The Sickness unto Death: Kierkegaard’s Writings (Vol. 9), edited and translated by Howard V. Hong and Edna H. Hong. New Jersey: Princeton University Press. Kleinman, A. (1988). Rethinking Psychiatry: From Cultural Category to Personal Experience. New York: Free Press. Kleinman, A., & Good, B. ‘Introduction: Culture and depression’, in Kleinman, A., Good, B.J., & Good, B. (Eds.). (1985). Culture and depression: Studies in the anthropology and cross-cultural psychiatry of affect and disorder (Vol. 16). California: University of California Press. Kravitz, R.L., Epstein, R.M., Feldman, M.D., Franz, C.E., Azari, R., Wilkes, M.S., & Franks, P. (2005). ‘Influence of patients’ requests for direct-to-consumer advertised antidepressants: a randomized controlled trial’, Jama, 293(16), 1995-2002. Lacasse, J.R. and Leo, J., (2005). Serotonin and depression: a disconnect between the advertisements and the scientific literature. PLoS Medicine, 2(12), p.392. Leo, J., & Lacasse, J.R. (2008). ‘The media and the chemical imbalance theory of depression’, Society, 45(1), 35-45. Lilienfeld, S.O. (2007). ‘Cognitive neuroscience and depression: Legitimate versus illegitimate reductionism and five challenges’,Cognitive Therapy and Research, 31(2), 263-272. Maddux, J.E., & Winstead, B.A. (Eds.). (2015). Psychopathology: Foundations for a contemporary understanding.New York: Routledge. Manley, M.R.S. (2000). ‘Psychiatric interview, history, and mental status examination’,Kaplan & Sadock’s Comprehensive Textbook of Psychiatry, 7, 652-65. Menninger, K. (1973). Whatever Became of Sin? New York: Hawthorn Brooks. Meyer, J.S., & Quenzer, L.F. (2013). Psychopharmacology: Drugs, the brain, and behavior. Sunderland: Sinauer Associates. Moncrieff, J. (2008). ‘The myth of the chemical cure’, in The Myth of the Chemical Cure(pp. 217-224). London: Palgrave Macmillan. Morris, J.B., & Beck, A.T. (1974). ‘The efficacy of antidepressant drugs: A review of research (1958 to 1972)’, Archives of General Psychiatry, 30(5), 667-674. Pescosolido, B.A., Martin, J.K., Long, J.S., Medina, T.R., Phelan, J.C., & Link, B.G. (2010). ‘A disease like any other”? A decade of change in public reactions to schizophrenia, depression, and alcohol dependence’,American Journal of Psychiatry, 167(11), 1321-1330. Schildkraut, J.J. (1965). ‘The catecholamine hypothesis of affective disorders: a review of supporting evidence’, American Journal of Psychiatry, 122(5), 509-522. Schor, J. (2008). The overworked American: The unexpected decline of leisure. New York: Basic Books. Simon, L.S. (2002). ‘Pharmacovigilance: towards a better understanding of the benefit to risk ratio’, Annals of the Rheumatic Diseases, 61(suppl. 2), ii88-ii89. Spiegel, A. (2012). ‘When it comes to depression, serotonin isn’t the whole story’. Available from: https://www.npr.org/sections/health-shots/2012/01/23/145525853/when-it-comes-to-depression-serotonin-isnt-the-whole-story [Accessed 11 July 2018]. Taussig, M.T. (2010). The devil and commodity fetishism in South America. Chicago: University of North Carolina Press. Tuttle, H.N. (1996). The crowd is untruth: The existential critique of mass society in the thought of Kierkegaard, Nietzsche, Heidegger, and Ortega y Gasset (Vol. 176). New York: Peter Lang. Tyrer, P and Steinberg, D. (2006). Models for Mental Disorder. Fourth Edition. Hoboken, NJ: Wiley. Van Deurzen, E. (2009). Everyday mysteries: A handbook of existential psychotherapy. London: Routledge. Whitaker, S. (2010). ‘Error in the estimation of intellectual ability in the low range using the WISC-IV and WAIS-III’, Personality and Individual Differences, 48(5), 517-521. Yalom, I. D. (1980). Existential psychotherapy (Vol. 1). New York: Basic Books.